In Vasco Da Gama, players are each preparing ships and setting sail for the New World to earn victory points. 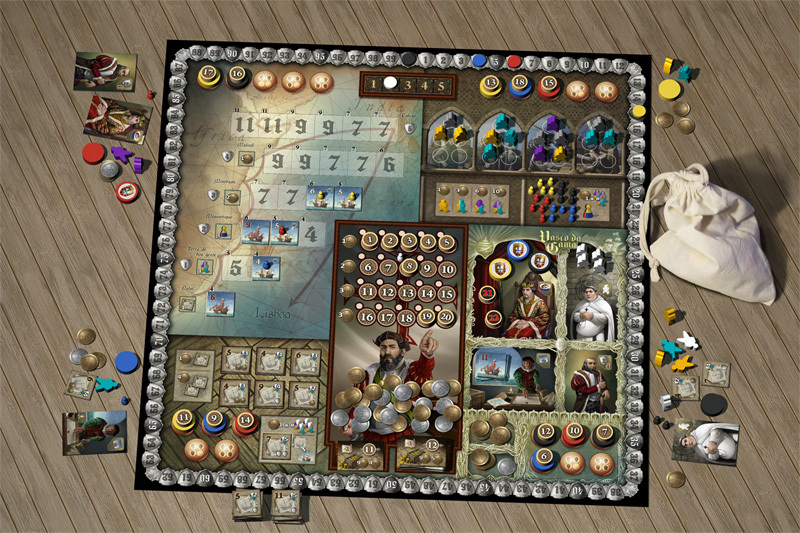 In essence, Vasco Da Gama is a worker placement game played over 5 rounds. Each round players place their 4 (sometimes 5) action disks on one of the 4 areas so they can perform the relevant actions, and then they resolve these actions. However, the system that determines the order in which the actions actually occur is very clever and is the central and unique feature of Vasco Da Gama.